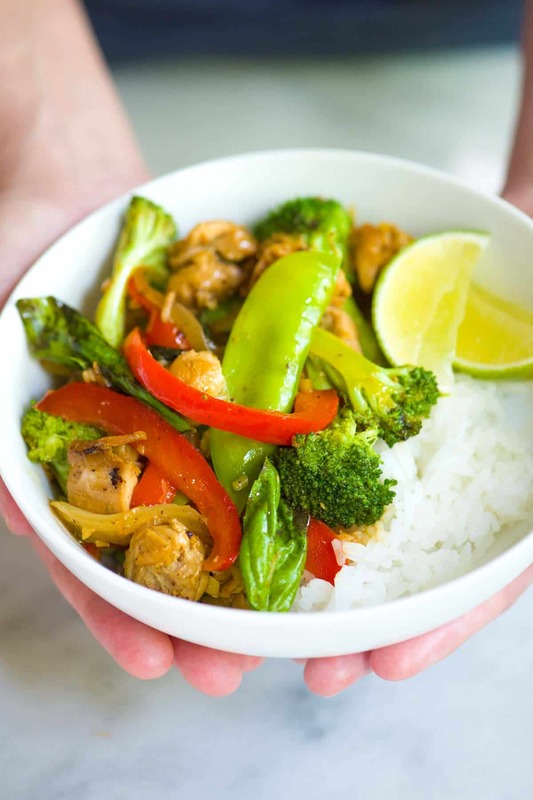 Easy chicken stir fry recipe that’s 100% from scratch with lots of vegetables and a lightened up homemade stir fry sauce that can be made a week in advance. 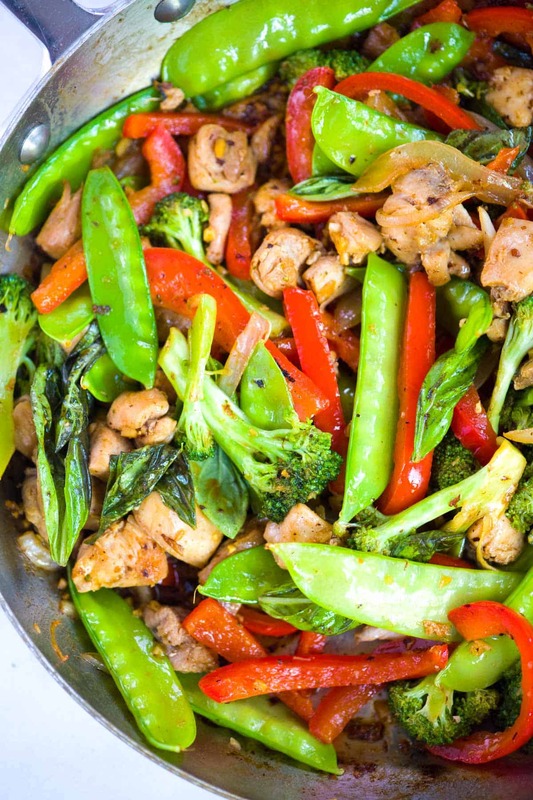 Jump to the 30-Minute Ginger Chicken and Veggie Stir Fry Recipe or read on to see our tips for making it. We make this chicken stir fry often and usually use whatever vegetables we have in the kitchen at the time. 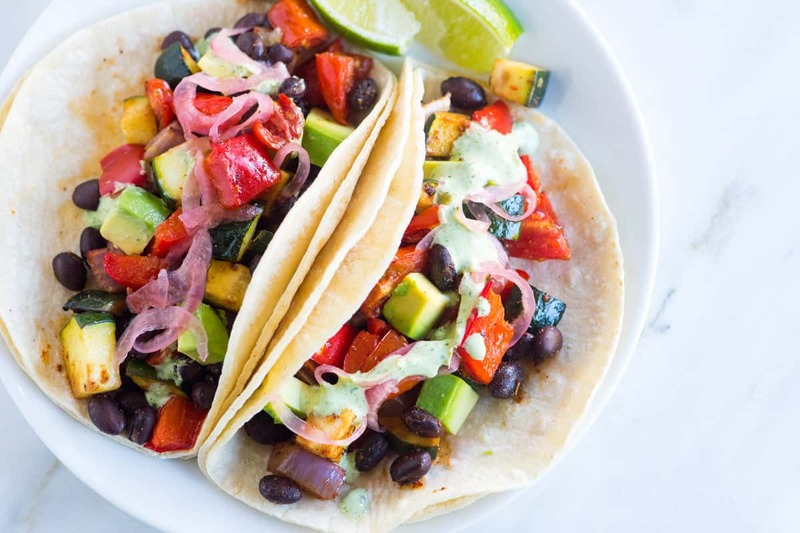 In the recipe below, I’ve included our favorites, but don’t be afraid to swap or add other vegetables. We rely on stir fries a lot in our home — they are fast and so easy to modify based on what’s in the refrigerator. 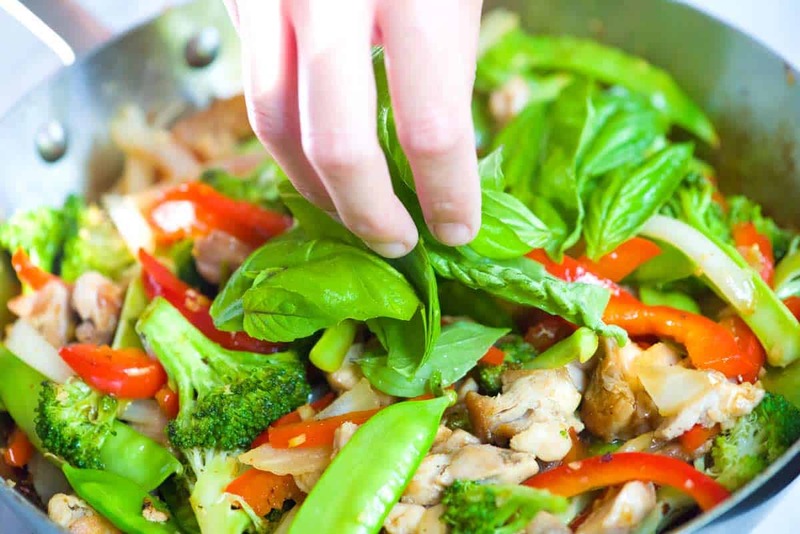 Whether you are making this recipe or swapping in one or two ingredients that are already in your fridge, here are a few tips for making the best stir fry at home. We love the sauce in our recipe below, but for an alternative, try our homemade teriyaki sauce. 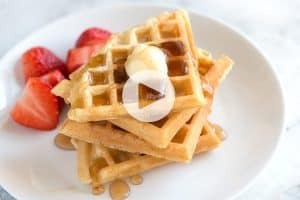 Our recipe makes a big batch and keeps in the fridge for weeks. Use a wide skillet when making stir fries — the bigger the better. The more surface area you have to work with, the quicker the ingredients will brown and cook. Cook the meat and heartiest vegetables first. If you are adding protein to your stir-fry, start there. Cook chicken or other proteins first then transfer to a clean plate while you cook the remaining ingredients. If you are making a vegetable-heavy dish, start with the heartiest veggies like carrots or broccoli then add more delicate veggies like snow peas towards the end. Add aromatics at the end. Ginger, garlic, and herbs burn easily and really don’t need a long time to cook. When we stir fry, we stir in ginger and garlic into the stir fry 2 to 3 minutes before the dish is done. This way they stay fragrant and don’t burn. In our recipe below, we also stir in fresh basil and lime juice at the end of cooking. I know it might seem odd to add basil to a stir fry, but trust me, it’s excellent. Add the sauce at the end. Just like with the aromatics, we stir in the sauce when everything else is done then give it just enough time on the heat to warm and coat the chicken (or other protein) and vegetables. This teriyaki chicken recipe can easily be made on a weekday and comes together in about 30 minutes. 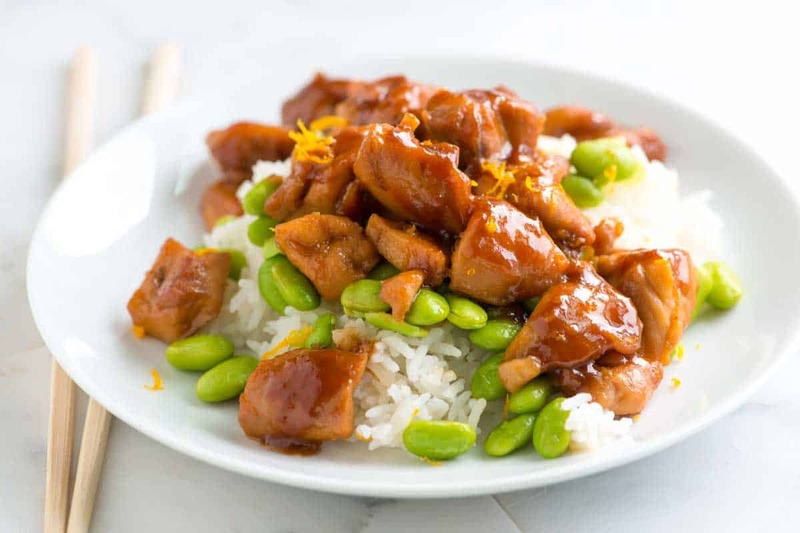 Jump to the Honey Ginger Teriyaki Chicken Recipe. The best thing about stir fries is that they are easily modified. This is an excellent use for chicken thighs, but chicken breast, tofu, pork or replacing the protein with more vegetables are all options. The key to the best stir fry is to cook the heartiest ingredients first — like the chicken — then add in less hearty and more delicate ingredients towards the end of cooking. This way, none of the vegetables overcook and stay crisp instead. Use a nice wide skillet for this — the bigger the better. This step can be done in advance. Once made, store covered in the refrigerator for up to a week. You might even consider making a double or triple batch for meals later in the week. Whisk honey, fish sauce, soy sauce, water and cornstarch in a small saucepan over medium-low heat until well blended. Continue to whisk as it heats up and thickens, 2 to 3 minutes. When thickened and shiny, remove from the heat and stir in Sriracha hot sauce. Save for the stir fry or store covered in the refrigerator up to one week. Heat a large, wide skillet over medium-high heat. Add the oil and swirl it in the pan until the bottom is well coated. Scatter the chicken pieces in one layer. Cook, without moving, until starting to brown on the bottom, about 5 minutes. Stir the chicken and continue to cook until cooked through, about 3 minutes. Transfer the chicken to a clean plate. Reduce the heat to medium then place the skillet back onto the burner. Add the broccoli and cook, stirring frequently until it turns bright green, about 2 minutes. Throw in the onion and bell pepper then cook, stirring frequently until the onions begin to sweat, about 2 minutes. Add the snow peas, ginger and garlic then cook, tossing frequently until the ginger and garlic are fragrant and the snow peas turn a brighter green, about 2 minutes. 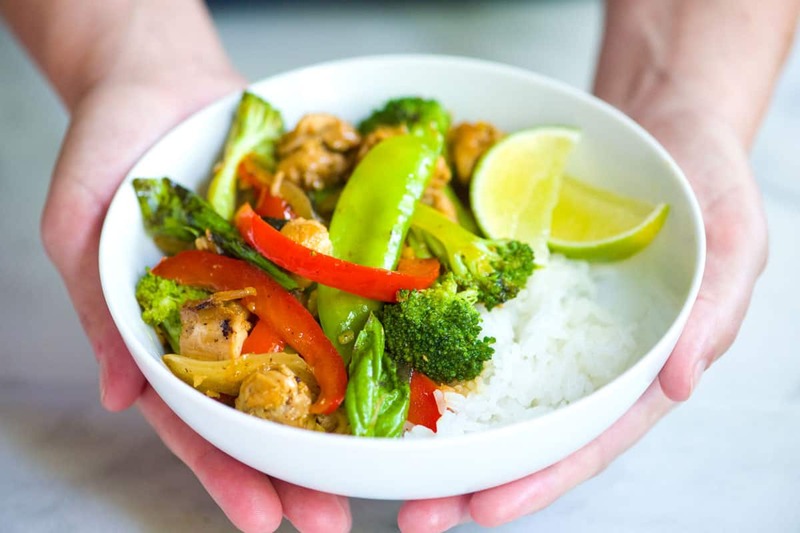 Stir in the cooked chicken, and then when all of the vegetables are crisp-tender and the chicken reheated, take the skillet off of the heat and stir in the stir fry sauce. As you stir, use tongs or a spoon to scrape the bottom of the pan to lift any bits stuck to the pan and mix into the sauce. Finish by tossing with fresh basil leaves and the juice of one lime. 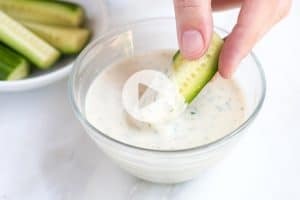 Serve with extra lime wedges. 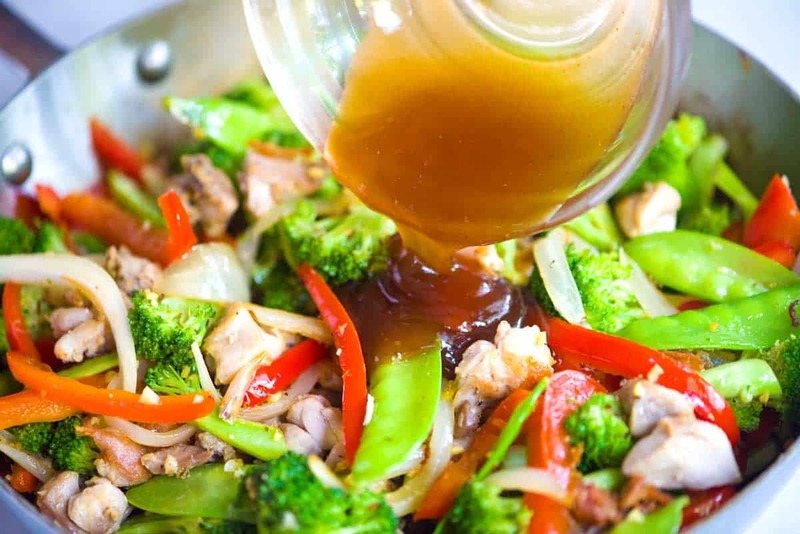 Make-ahead: The stir fry sauce can be made in advance — just keep it covered in your fridge until you are ready to use it. Buying Fish Sauce: We keep a bottle of fish sauce in our kitchen at all times. It’s truly a magical ingredient. Not only can you use it here and in other Asian-inspired dishes, it is excellent for adding to soups, stews and pasta sauces. We have Red Boat in our kitchen. It has a clean flavor and no water or sugar added. If you cannot find it, go for a mid to high priced fish sauce that’s sold in a glass bottle instead of in plastic and look for a light amber or reddish color rather than a very dark color. Nutrition Facts: The nutrition facts provided below are estimates. We have used the USDA Supertracker recipe calculator to calculate approximate values. Since it depends on how well trimmed the chicken thighs are, the nutritional data will vary. We used the data provided by the National Chicken Council to help calculate the values below. 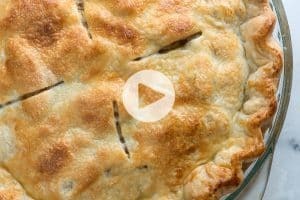 I tried this recipe for the first time, just for myself and was pleasantly surprised to find that even my brother and wife liked it. It is flavorful, yet well balanced. I’d recommend preparing the sauce and cutting up the vegetables in advance, since once you start cooking the main portion, the time between ingredients is pretty short. I’d also recommending starting your rice (if you choose) just before the main dish since the cooking times are similar.